One Music PH together with ABS-CBN Lifestyle, MYX, and L.U. 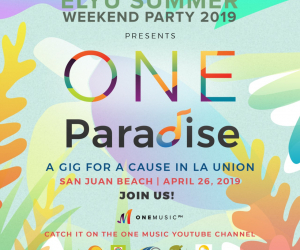 Soul, is bringing back the gig with a cause, ONE PARADISE, in San Juan, La Union! 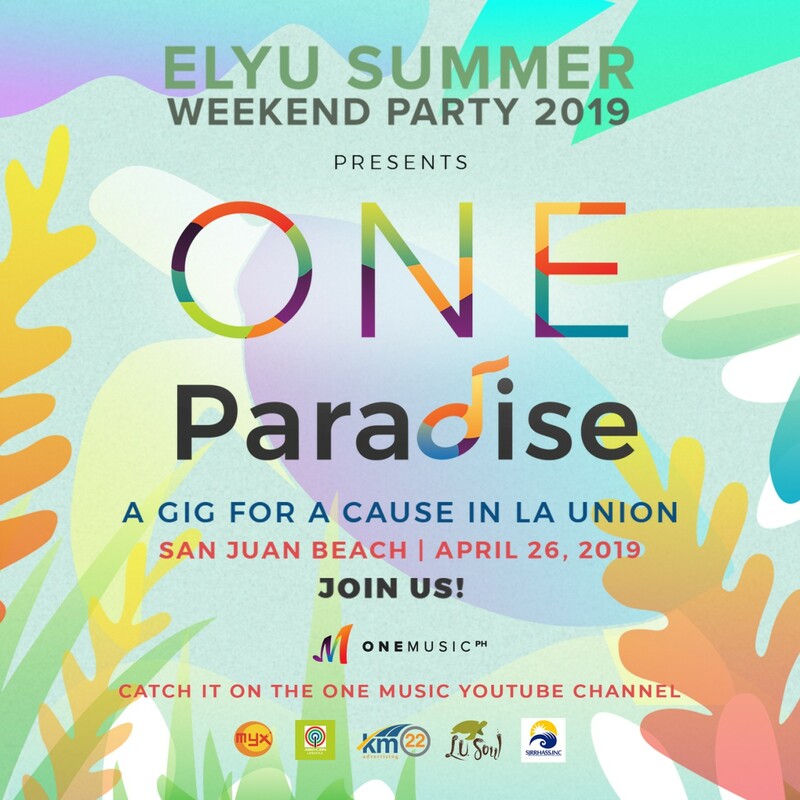 This year, One Music PH is working together with La Union Soul—a community-driven ecotourism movement that promotes sustainability of the La Union—to educate the youth about the perils of single-use plastic and how to further manage it. Catch amazing performances by Cane City, brwn, Quacid, Jason Fernandez, Miro Valero, Sue Ramirez, Agsunta, and Parokya ni Edgar, plus many more! The event will be hosted by the lovely MYX VJ Samm and Sports and Action host Vince Velasco.